We try in our very weak effort to help those around us via a small initiative called Porshee Foundation. We are not in the position to seek any large fund and also we are not interested to go after funds which have strings attached and where people are busy in other burning money rather than the focus being on the beneficiaries. One of the primary characteristics of Porshee Foundation is that we strive to reach 100% of the donation to the beneficiary and we can do that because we refrain from turning the work of Porshee as profession. 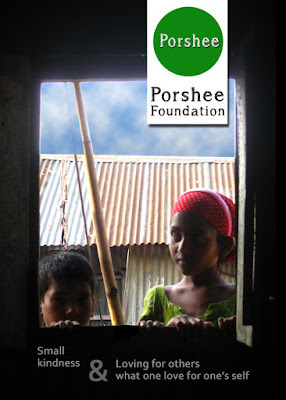 Porshee remains a 100% non-profit venture and the management works pro-bono. We particularly do a fund raising in Ramadan because firstly its a blessed month where generosity is encouraged for those who have faith in God and the Last Day and the Reward in the Kingdom of God. In Ramadan Muslims particularly enjoin giving Zakat which is obligatory charity upon the savings as a means of gratefulness to the Sustainer and also as a purification of the wealth. If you have Zakat money by all means you may donate to Porshee. 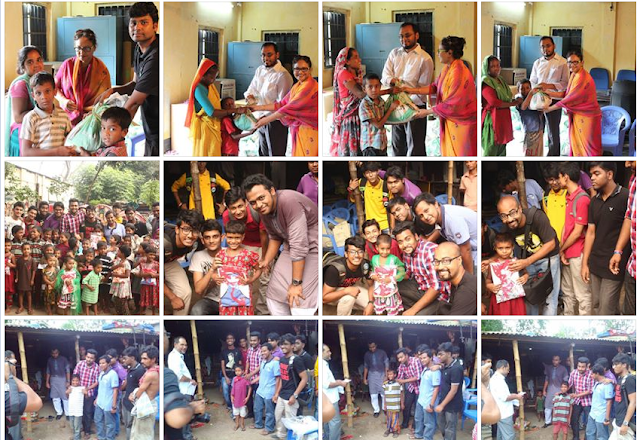 Our work are for the neglected, ultra poor and those who are in economically disadvantaged position. In our Official Facebook Page of Porshee Foundation here you may see some of our latest activities and photos. You may donate via Paypal. For Bank Transfer, please contact me, sadiq.alam@gmail.com for details. May God accept your generosity and preserve and protect you and your loved ones. May you find your reward from the One Who is Most Generous for all well intentioned action. By the Divine Permission, so be it. Amen. Ameen. And finally some inspirational reminder on the call from our Maker to care for those who have less than us. Inform My beloved servants who have faith to establish prayer and spend from what We have provided them, secretly and publicly, before a Day comes in which there will be no exchange, nor any friendships. And that which you give in gift (to others), in order that it may return with more from others, has no increase with God, but that which you give in Zakat (alms due to poor) seeking God's Countenance then those, they shall have manifold increase with God. And spend from what We have provided you before death catches up one of you and lest you say, "My Lord, if only You would delay me for a brief term so I would give charity and be among the righteous."